Our employment attorneys represent New Jersey Civil Service employees in appeals of disciplinary action. 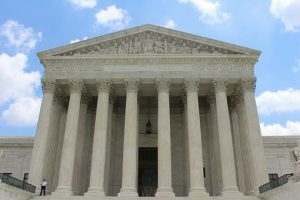 Recently, New Jersey’s Supreme Court had the opportunity to clarify some of the circumstances in which a government employee can obtain a waiver of the rule that he forfeit his job when convicted of a criminal offense. In the case of Flagg v. Essex County Prosecutor, the New Jersey Supreme Court had the opportunity to review the effect of a public employee’s conviction for a disorderly persons offense (the equivalent of a misdemeanor) on their government job. New Jersey’s forfeiture law requires that employees forfeit their public employment if the conviction is for a crime (the equivalent of felony) of dishonesty, is required by the New Jersey Constitution, or is a disorderly persons offense “involving or touching such office, position or employment.” However, a subsection of this law provides an exception. This provides that “forfeiture or disqualification… which is based upon a conviction of a disorderly persons or petty disorderly persons offense [misdemeanors] may be waived by the court upon application of the county prosecutor or the Attorney General and for good cause shown.” The law is silent about what standard a prosecutor should use to review such applications. Flagg was a maintenance worker for the City of Newark. He was convicted in municipal court of illegal disposition of solid waste, a disorderly persons offense. He did this in the course of his job at the direction and in the presence of his supervisor. He was sentenced to a six month loss of his drivers license, a $5,000 fine, and five days of community service. He was not sentenced to jail, nor did the statute provide for jail for this solid waste violation. Flagg appealed the conviction, but it was upheld. The City of Newark filed disciplinary charges based on the conviction and terminated him. Flagg appealed his termination to the Civil Service Commission. Flagg also made an application to the Essex County Prosecutor’s Office requesting that the prosecutor waive the forfeiture of his job as the law allows. The prosecutor refused, explaining that it was the policy of the Essex County Prosecutor’s Office that it rejected every waiver application regardless of the circumstances. Flagg filed an action in lieu of prerogative writ in the New Jersey Superior Court challenging the refusal. (The Civil Service Commission stayed the appeal of Flagg’s disciplinary termination while the appeal of the forfeiture decision was pending.) The Superior Court upheld Flagg’s challenge, calling the Essex County Prosecutor’s blanket refusal of all applications of waivers when the law provided for them “an extraordinary abuse of discretion.” The Prosecutor appealed to the Appellate Division of New Jersey’s Superior Court, which reversed and upheld the denial. 16) the impact of a waiver on the employment status of codefendants. There are a few takeaways from Flagg’s case. First, don’t commit a criminal offense – besides the punishments which may be imposed, you very well may be lose your job. The second takeaway, however, is that if you do make a mistake and commit a disorderly persons offense (a misdemeanor), there are avenues to pursue to get a waiver of the requirement that you forfeit your government job. Third, even if the prosecutor refuses to agree to the waiver, there are ways you in which you can successfully challenge this denial of a waiver in court. Our employment attorneys represent public employees in appeals of discipline in New Jersey’s courts and before New Jersey’s Civil Service Commission. To set up an appointment to speak with one of our employment lawyers call (973) 890-0004 or e-mail us. We can help.